The women we know from translations and interpretations of Bible texts are servants, prostitutes or saints, seen dancing for a king or kneeling to kiss Jesus' feet. INTERNATIONAL NEWS - Tired of seeing their holy texts used to justify the subjugation of women, a group of feminist theologians from across the Protestant-Catholic divide have joined forces to draft "A Women's Bible". But while many feminists have called for The Bible, Christianity and religion altogether to be cast aside, an eclectic group of theologians instead insists that if interpreted properly, the Good Book can be a tool for promoting women's emancipation. 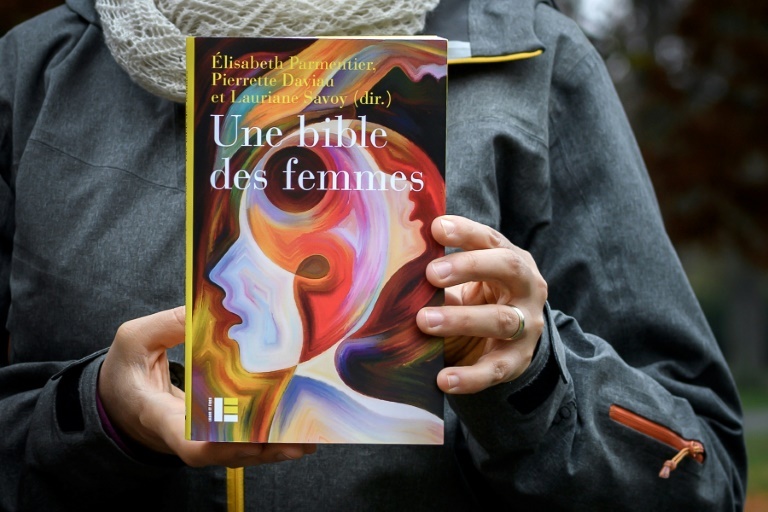 "Feminist values and reading the Bible are not incompatible," insisted Lauriane Savoy, one of two Geneva theology professors behind the push to draft "Une Bible des Femmes" ("A Women's Bible"), which was published in October. "A lot of people thought they were completely outdated with no relevance to today's values of equality," the 33-year-old told AFP, standing under the towering sculptures of Jean Calvin and other Protestant founders on the University of Geneva campus. "It says that Martha ensures the "service", which has been interpreted to mean that she served the food, but the Greek word diakonia can also have other meanings, for instance it could mean she was a deacon," she pointed out. Already back in 1898, American suffragette Elizabeth Cady Stanton and a committee of 26 other women drafted "The Woman's Bible", aimed at overturning religious orthodoxy that women should be subservient to men. "We wanted to work in an ecumenical way," Parmentier said, stressing that around half the women involved in the project are Catholic and the other half from a number of branches of Protestantism. In the introduction to the "Women's Bible", the authors said that the chapters were meant to "scrutinise shifts in the Christian tradition, things that have remained concealed, tendentious translations, partial interpretations." They take to task "the lingering patriarchal readings that have justified numerous restrictions and bans on women," the authors wrote. Savoy said that Mary Magdalene, "the female character who appears the most in the Gospels", had been given a raw deal in many common interpretations of the texts. 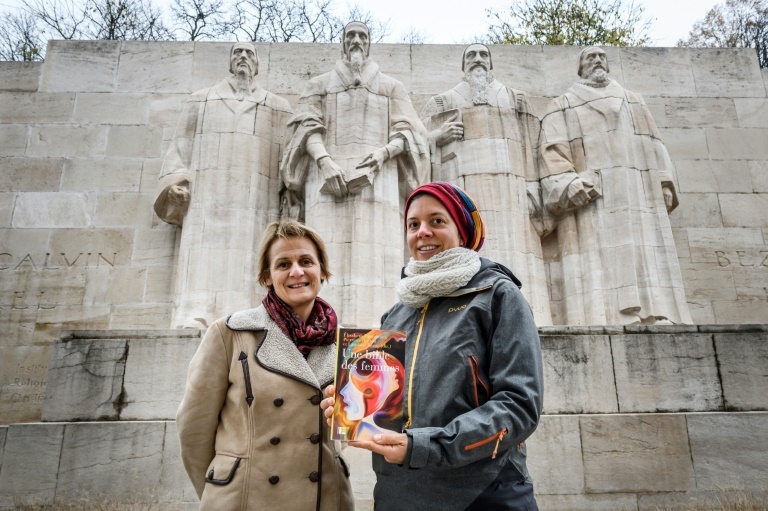 Geneva theology professors Elisabeth Parmentier (L) and Lauriane Savoy pose under the Reformation Wall with a copy of "A Women's Bible". "She stood by Jesus, including as he was dying on the cross, when all of the male disciples were afraid. She was the first one to go to his tomb and to discover his resurrection," she pointed out. "This is a fundamental character, but she is described as a prostitute, ... and even as Jesus's lover in recent fiction." "We are fighting against a literal reading of the texts," Parmentier said, pointing for instance to letters sent by Saint Paul to nascent Christian communities. "It's like taking a letter someone sends to give advice as being valid for all eternity." The theologians' texts also approach the Bible through different themes, like the body, seduction, motherhood and subordination. "Each chapter addresses existential questions for women, questions they are still asking themselves today," Parmentier said. "While some say that you have to throw out the Bible to be a feminist, we believe the opposite."